You are here: Home » Blog » Mother’s Day cards in the making. Mother’s Day cards in the making. 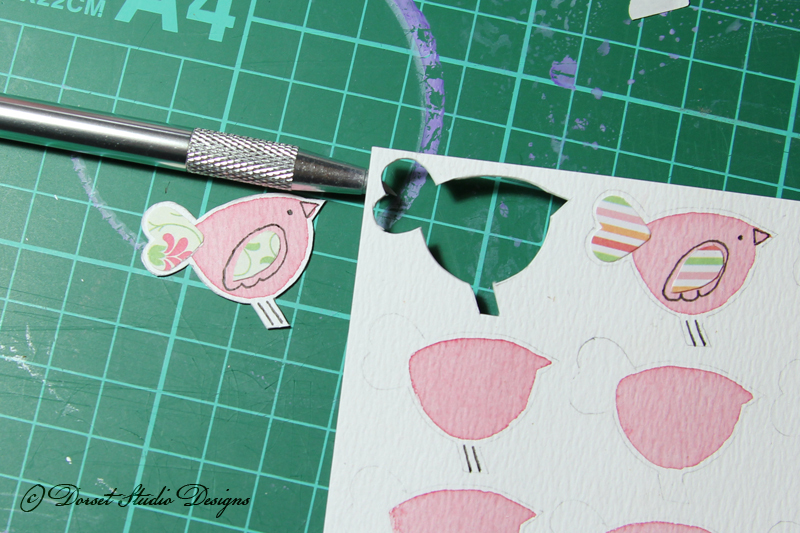 I thought I would go into how I go about making my handmade cards. 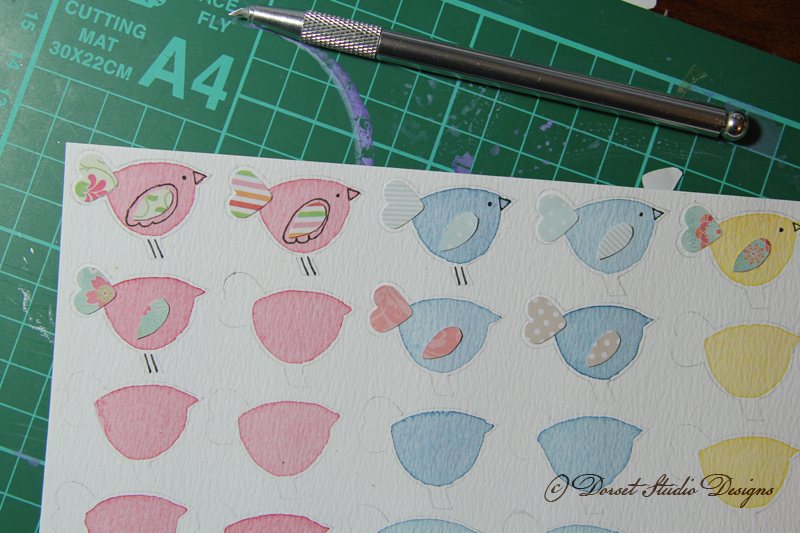 I love the fact that I am using a combination of watercolours and papers to make these, and then cutting out the elements using a nice handy swivel scalpel. I use a really nice quality off white textured card that is 300gsm and acid free. It took a lot of searching for a card that was a little different than just hammered or linen which is a popular choice with hand made creations. After I have doodled out my design, and like the end result, I draw and make a template so that I can get the same element each time. 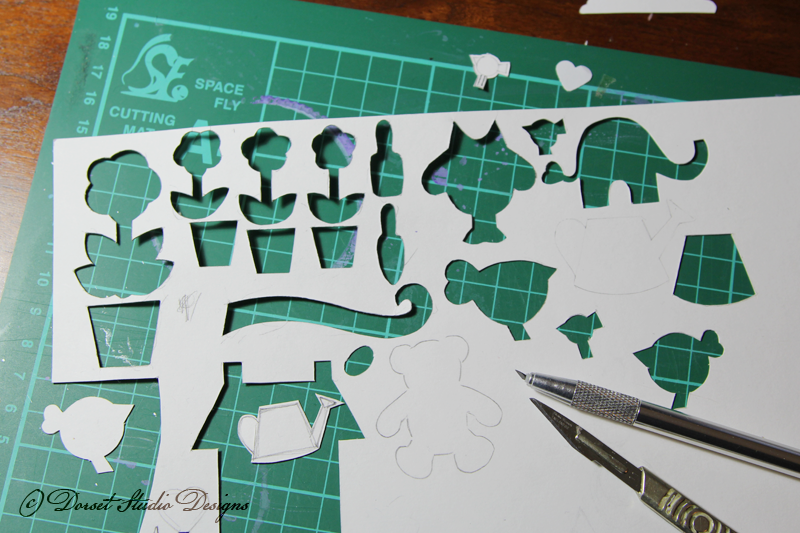 This is some of the template pieces I currently have in use. I use the template to repeat the design on just one piece of card so I can keep track of the pieces, and it makes life easier to paint them too. I tend to paint the part of the design I am going to need to attach the papers to first to give it the most time to dry, so in this case I start with the birds (as you can see I like variety in my work…) I then move onto the branches and then the leaves. 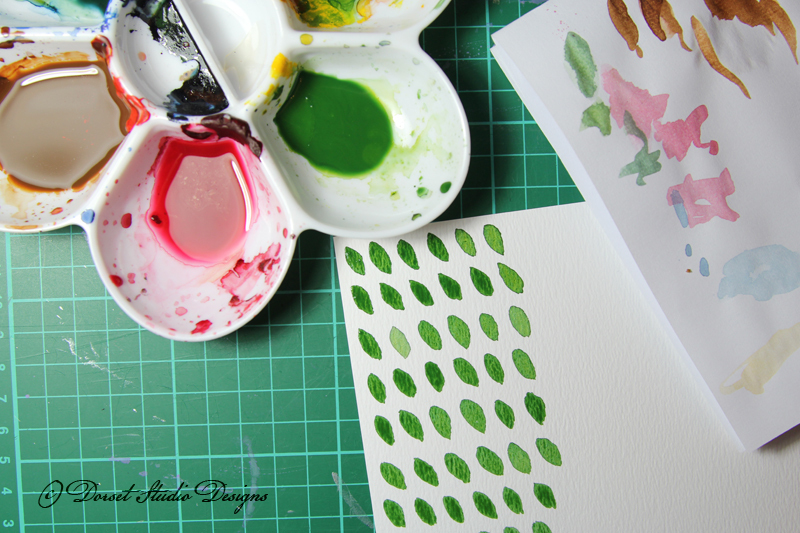 I just paint the leaves straight onto the card with my large brush, rather than draw them first. 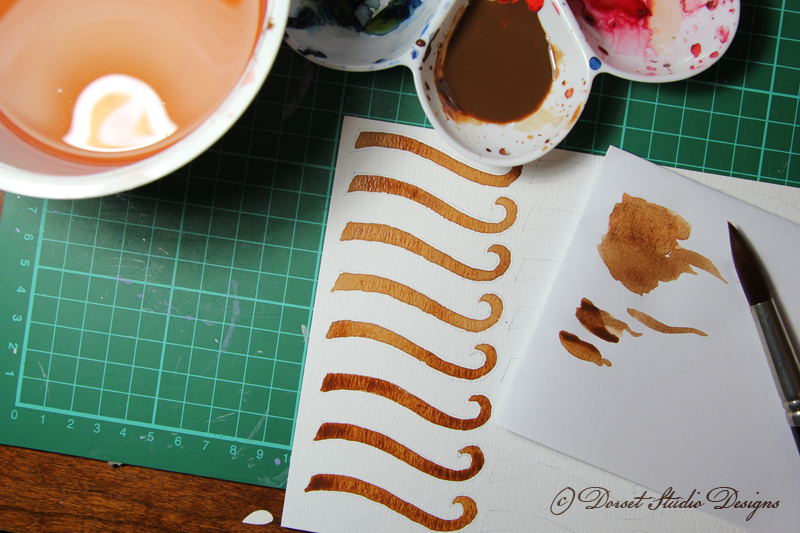 You can use a hair dryer to speed up the drying process, but I find that the heat buckles the card too much and can cause blooms in the paint, so I like to let it all dry at it’s own speed. 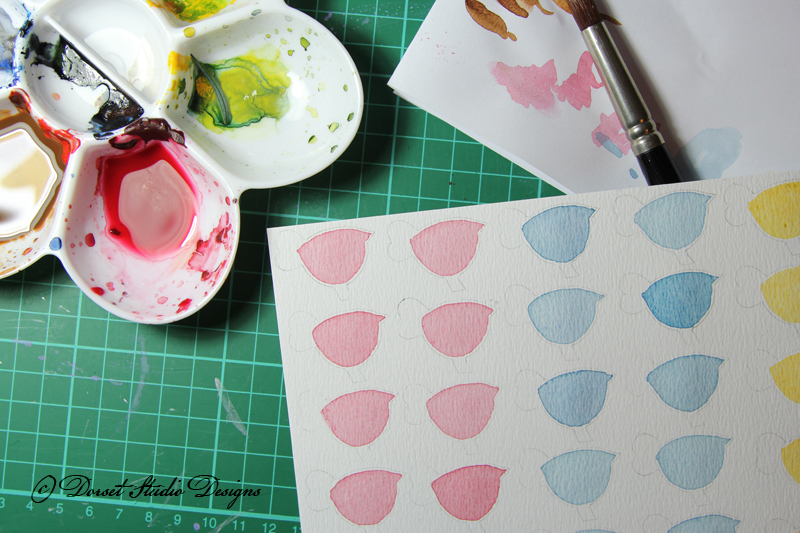 Once it is all dry, I start to work on my vintage paper elements. I use a mixture of cutters and a scalpel to create the sizes I need for my designs, and as this shot shows the different combinations I like to make. 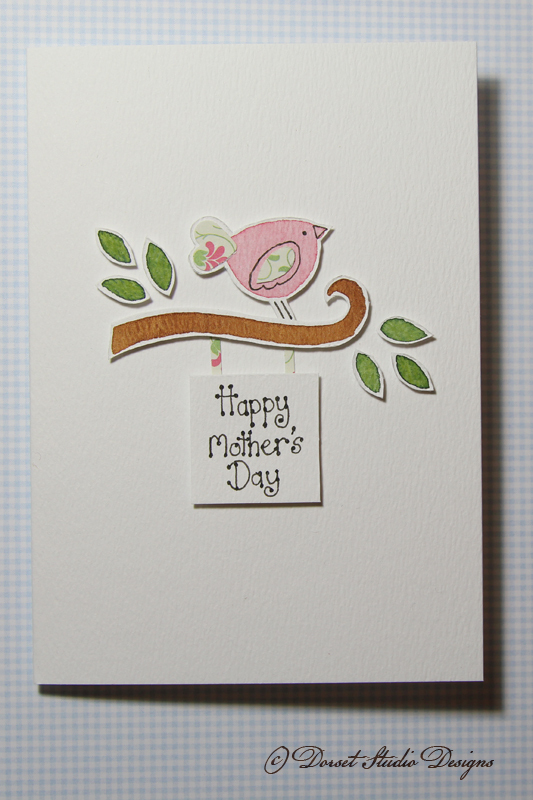 These are pretty for many different card types, and in lots of colour combinations. 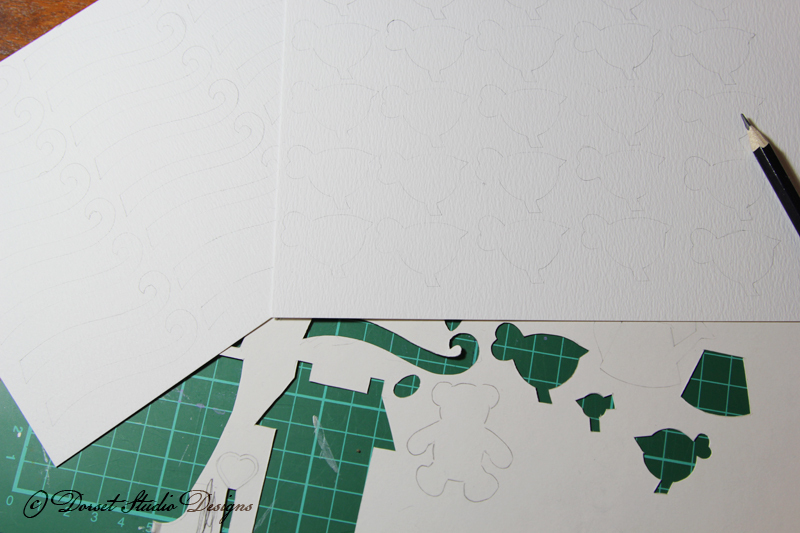 Once the glue has set I cut out the image leaving a small white stroke around it’s outside. Here are my elements gathered ready to assemble using 3D foam pads. These are thin enough to have the card post as a normal sized postage stamp, but deep enough to make the details stand out with a nice shadow. The finished card. The final touch is a sweet hand written greeting, that can made with any custom wording on it. Thank you for sharing your process – i love the sweet look of these cards and I can see where they can be made to fit just about any occasion – they are beautiful! Lovely idea – lovely design! 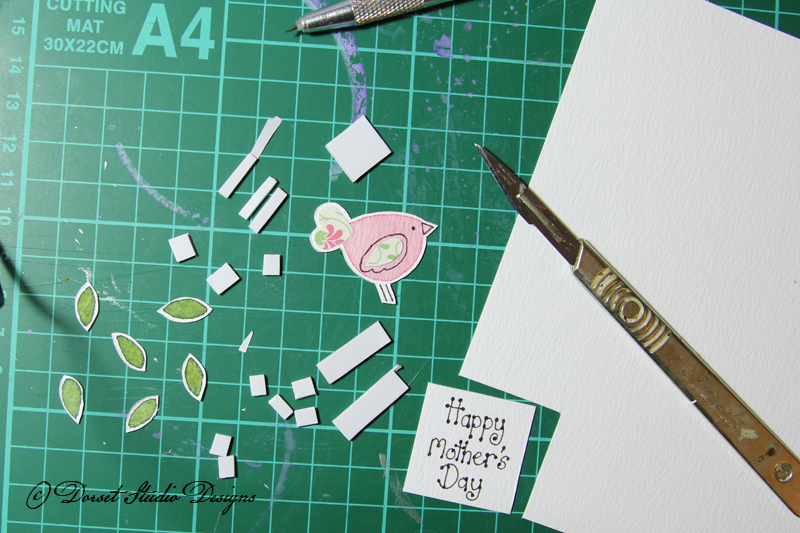 I haven’t browsed through your blog for some time…..but just wanted to say I loved the simple artistic/creative Mother’s Day card, it’s lovely.